Brazilian jiu-jitsu and bartending may not seem to have much in common, but thanks to Drago Centro bar manager Jason Eisner, the connection has now been made. In addition to his hours behind the bar, Eisner teaches daily private sessions and weekend classes at Cobrinha Brazilian Jiu-Jitsu & Fitness, located on Wilshire Boulevard at Highland Avenue. 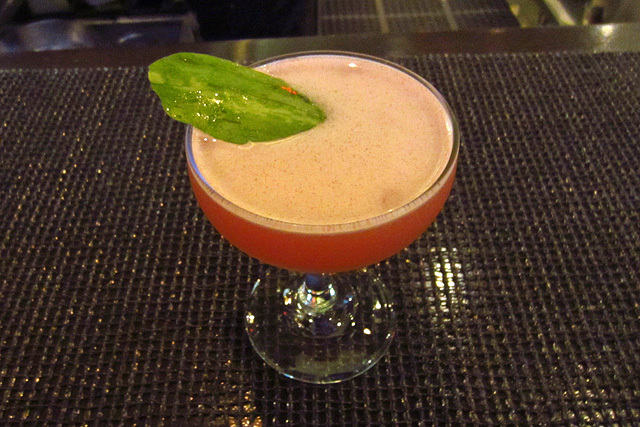 Eisner recently launched his first cocktail menu at Drago, where he came to work about a year ago after hearing about then-bar manager Jaymee Mandeville. Eisner stayed through the transition period after Mandeville was named the Bacardi USA Portfolio Manager. He assumed the helm in August and his menu went live a few weeks later. At a recent hosted tasting of his new cocktails, Eisner noted that there are “lots of parallels” between Brazilian jiu-jitsu and bartending – he sees both as artforms, requiring discipline and training, with long and fascinating histories. A self-proclaimed “nerd,” Eisner reads and studies cocktail history extensively. 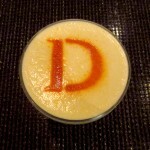 For his first Drago menu, Eisner – who still considers Mandeville a mentor – said he wanted to keep with her penchant for showcasing a wide variety of cocktails in her menus. Cocktails are divided into Drago’s familiar Nuovi Classici (“New Classics”) and Classici sections. 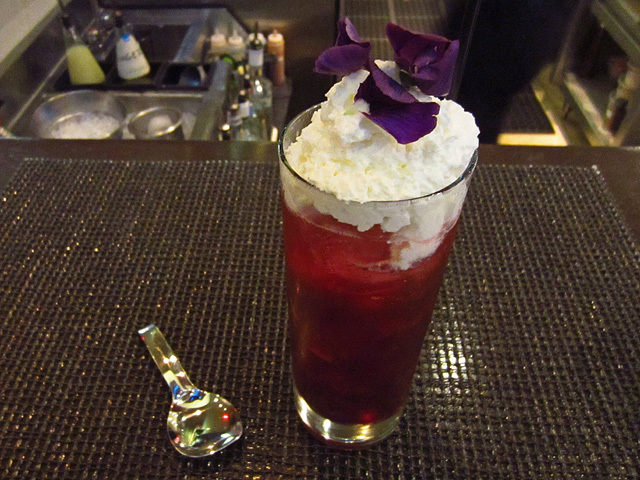 Eisner began the tasting with the Cartwheels in Rome: Bombay Sapphire Gin, blueberry maple reduction, lime, prosecco and Sicilian almond whipped cream, finished with a Sicilian almond mist and garnished with edible pansies. 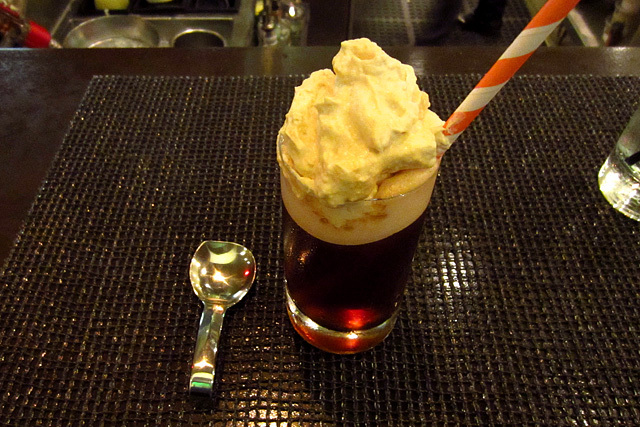 Eisner wanted to evoke an Italian cream soda – thankfully the whimsical cocktail was well-balanced and not as sweet or rich as its inspiration. As for the name, Eisner said if he were in Rome at that moment, he would be doing cartwheels. Wouldn’t you? The Perla del Mar is made with Pierde Almas La Puritita Verdá Mezcal, St. Germain, lime, watermelon, jalapeño, agave nectar and fleur de sel. 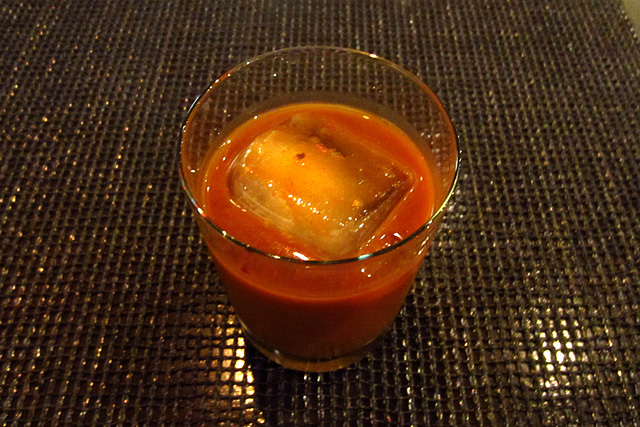 Eisner said that the spicy, smoky and sweet Perla del Mar was the first drink on the current menu that really came together. Its creation took shape when Eisner’s wife – whom he credited with having a very developed palate – asked him to make a Margarita. He presented her with this variation and she said, “I could drink these all day,” which was the only endorsement he needed. The shaved watermelon rind is a callout to one of the ingredients, a garnish that he wants to pickle but didn’t have time to perfect before the menu went live. The Drago Sour is Eisner’s autumnal take on the classic Whiskey Sour, made with Bulleit Bourbon, Fuji apple nectar, lemon, maple syrup, egg white and Angostura bitters. It’s an approachable, easy-drinking cocktail that quietly evokes the flavors of the season. Next was another Nuovi Classici, the Italian Roots: D’usse Cognac, CioCiaro, demerara syrup, chocolate bitters, Angostura, vanilla bourbon extract and Fernet-Branca whipped cream. In appearance and taste, the Italian Roots playfully mimics a root beer float – the perfect sipper for the Indian Summer we’re currently experiencing in So Cal. 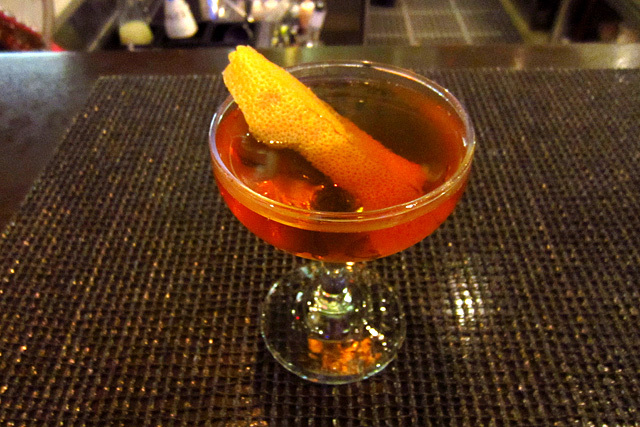 From the Classics, Eisner paid homage to his hometown with the Bklyn Cktl: Bulleit Rye, dry vermouth, CioCiaro, Luxardo Maraschino, Regan’s Orange Bitters. 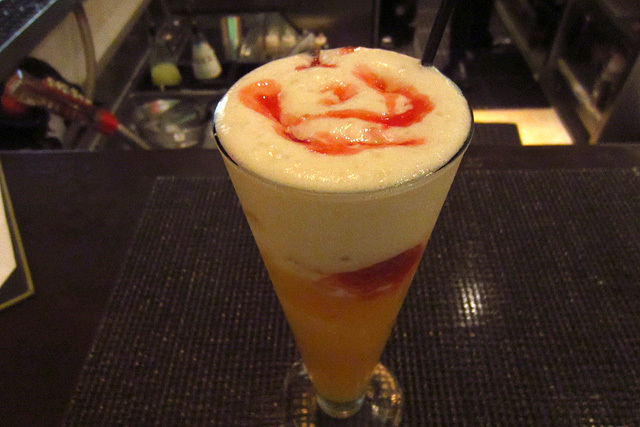 The tasting concluded with the Bombora, made with Bacardi Superior, Bittermens Amère Nouvelle, orange, pineapple, lime, maple syrup, Angostura, egg white and pomegranate molasses. Eisner said he loves tiki, and the Bombora – an indigenous Australian term for a submerged reef or rock shelf where large waves can unexpectedly break – should appeal to enthusiasts of classic and new school tiki drinks alike. 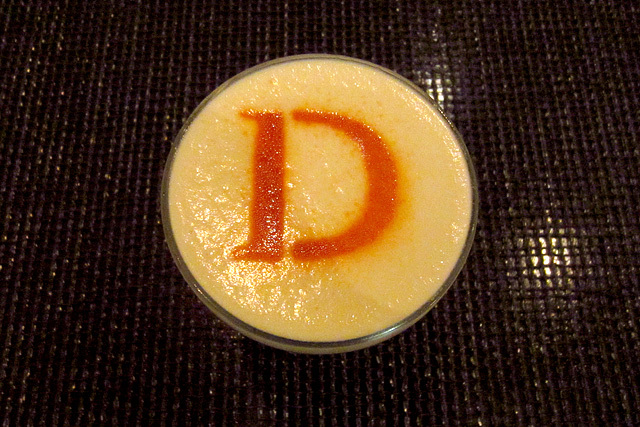 The cocktail program at Drago Centro reached its peak during Mandeville’s stint. On a lively Monday night, Eisner said, “The bar has been busy, like when Jaymee was here.” If Eisner’s first menu is any indication, those crowds will only continue to grow in the seasons ahead.